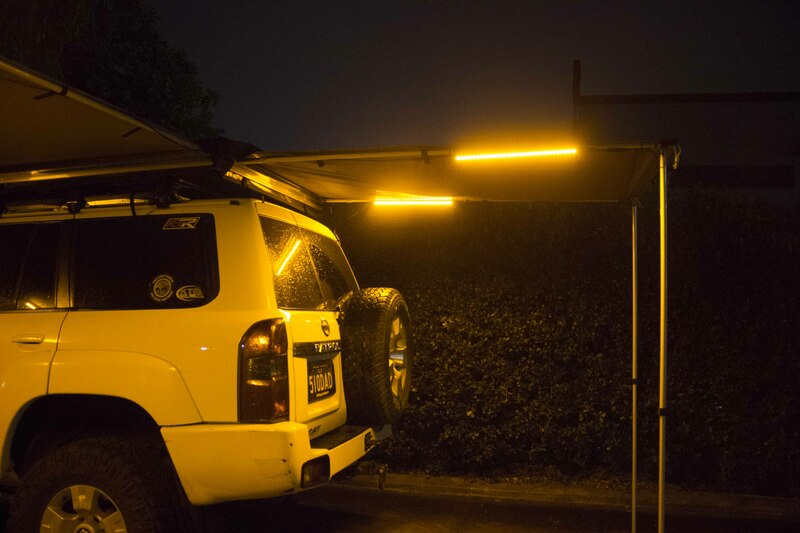 Light up your campsite with the new KT Dual Colour LED Camping Light Kit. 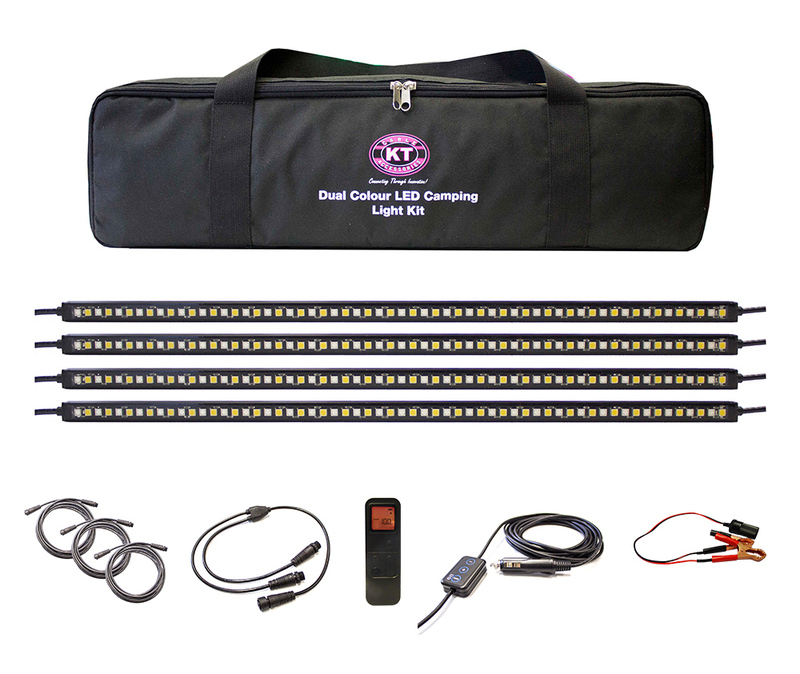 The KT Camping Light Kit includes four Dual Colour, High Powered, Heavy Duty 50cm SMD5050 Light Bars with built-in magnets for mounting. Light-weight, versatile and compact, this Camping Light Kit is the ultimate solution to your 12V Lighting needs. The KT Dual Colour LED Camping Light Kit is ideal for providing an energy efficient & Eco-friendly light source to your campsite, gazebo, shed, caravan, ute canopy, 4WD, Shipping Container, Pergola, Boat, Awning & More! 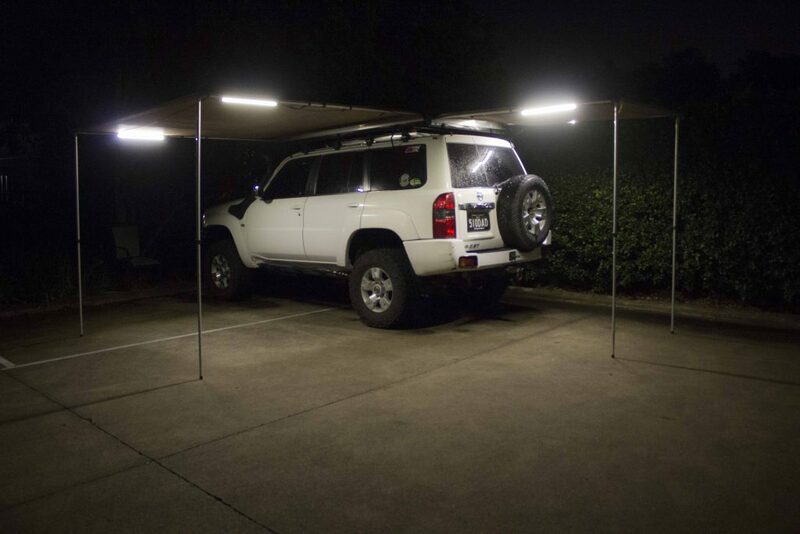 Each light bar is composed of 60 SMD 5050 LED lights, 30 Warm White & 30 Amber. The LED Light Kit outputs a large 2560 lumens from the 4 x 50cm bars but only draws a small amount of power, maximising running time and minimising battery draw. The lights have a dimming capability in 10% increments up to 100%. Certified with an IP67 rating, the light kit is fully protected from dust and can withstand short periods of water immersion. 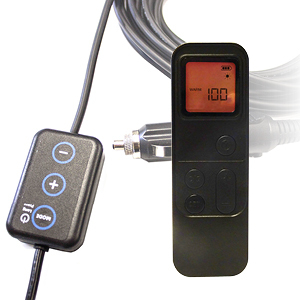 All cables and splitters are included in the kit, including waterproof quick connect leads and mounting hardware. 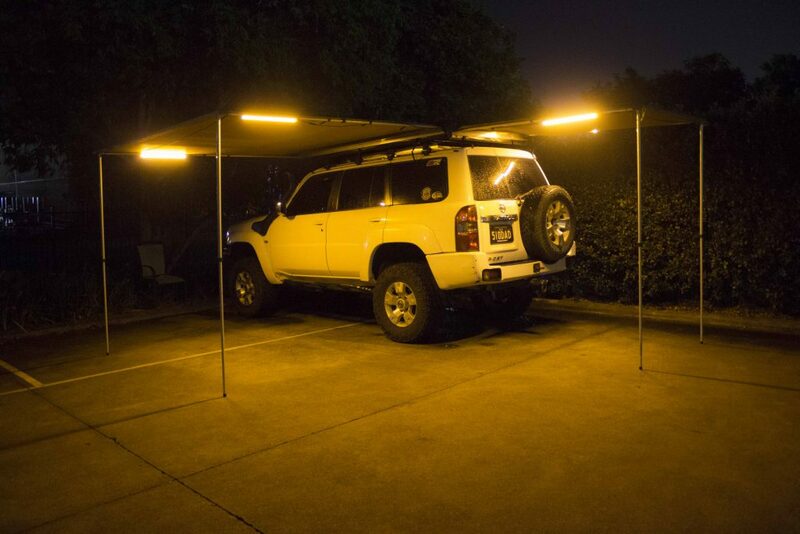 The Light Bars can be conveniently switched between Amber, White or a combination of both, using either of the two remotes that come with the kit. The kit has dimming capability and can be increased or decreased in 10% increments from 0-100%. An added bonus of the combination and amber options is that amber light does not attract bugs & insects! Conveniently switch between Amber, White or a combination of both using either of the two remotes that come in the kit. Included in the KT57030 Kit are two remotes. A Blue LED illuminates on the In-Line Magnetic Remote when connected and turned on. 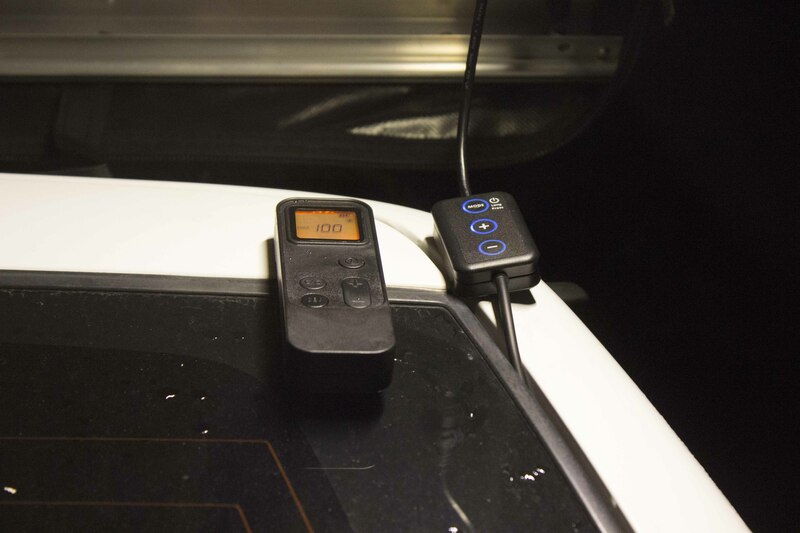 The Hand Held Remote features a digital display and can be used up to 10M away from the Camp Lighting Location. – You’ll never have to step away from the fire again! Control Dim Percentage in 10% Increments. The Kit comes with two magnetic remotes. Why choose LED Camp Lighting? See just a few of the MANY Reasons below. They do not contain any fragile inner components such as filaments which can be prone to breakage or failure. Draws a small amount of power which maximises running time and minimises battery use. Solar Sun Hours Map - Understanding how to work out your sun hours based on your Location . . .